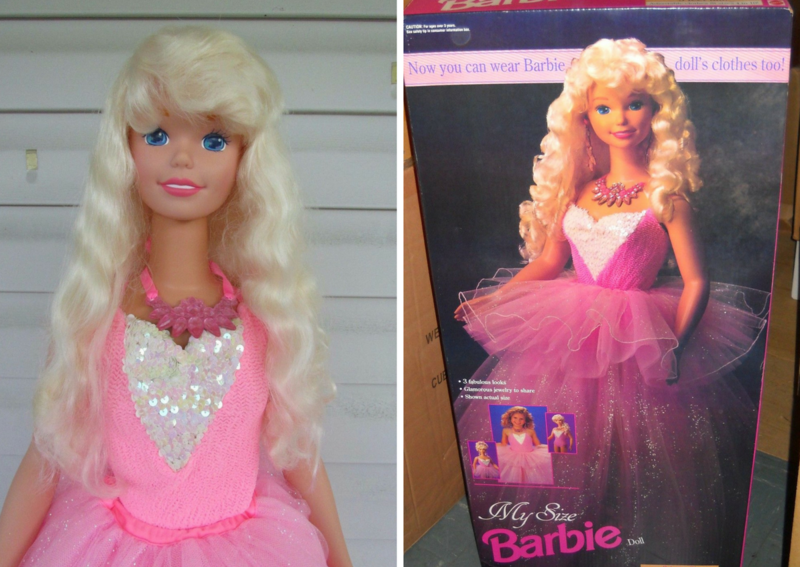 We All Wanted A 'My Size Barbie' When We Were Young, But Are They Worth As Much As They Say? It's hard to pick just one Barbie that we all wanted, but if you absolutely had to, the My Size Barbie might be the one. 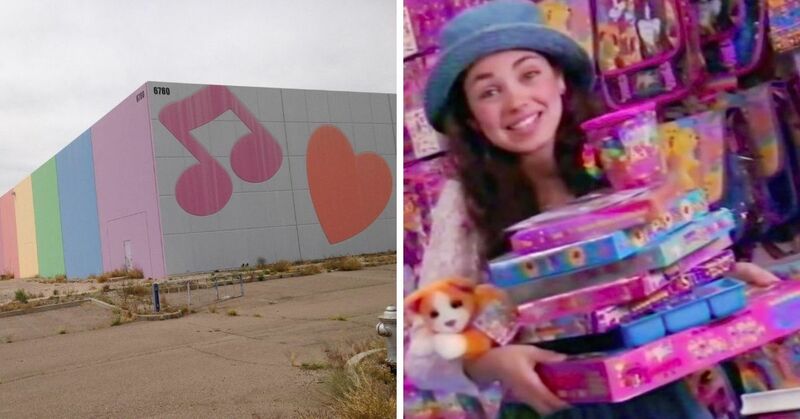 There was something about the giant doll that we all became completely obsessed with, even though she was a little bit creepy. I know, you might be wondering, "why is she creepy? She's just a regular doll!" But seriously, think about how terrifying she would have been for the poor parents! They would see her standing there, in the middle of the night, staring at them from across the room. They just want to go in and check on their child, but there is a weird kid-sized guard standing over her. Creepy. 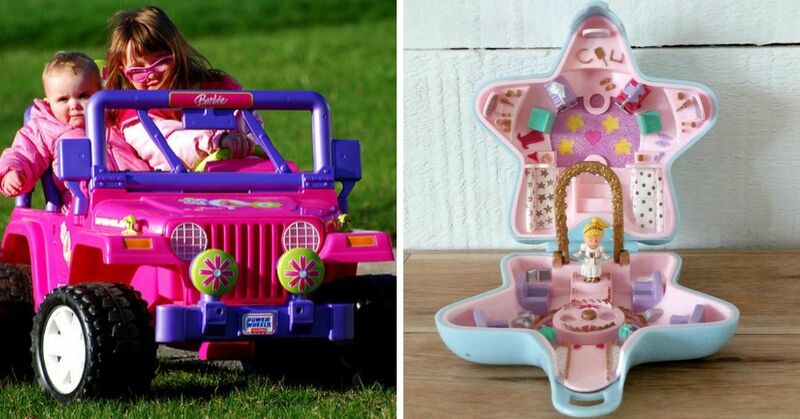 Whether you agree that it's creepy or not, My Size Barbie was a big part of the 90s. She came out in 1992, and thanks to her long blonde hair, big blue eyes, and her ability to share outfits with her owner, she was a hit. 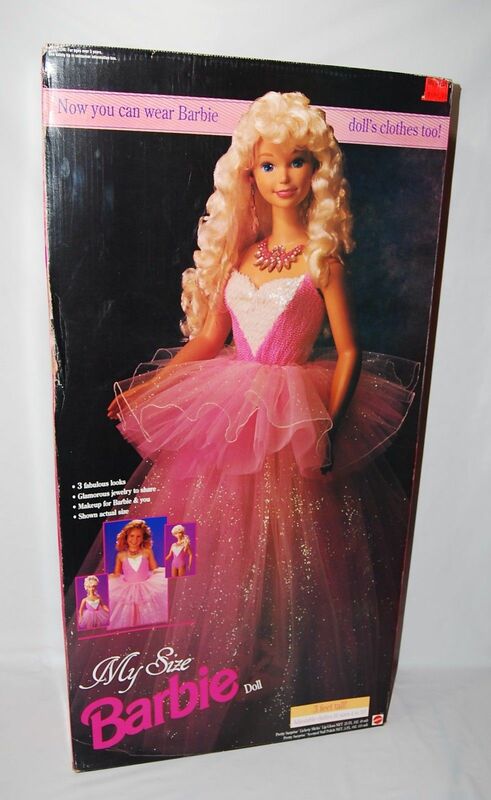 Whether she was rocking a pink dress, a ballerina tutu, or a wedding dress, My Size Barbie was at the top of every girl's Christmas wish list. 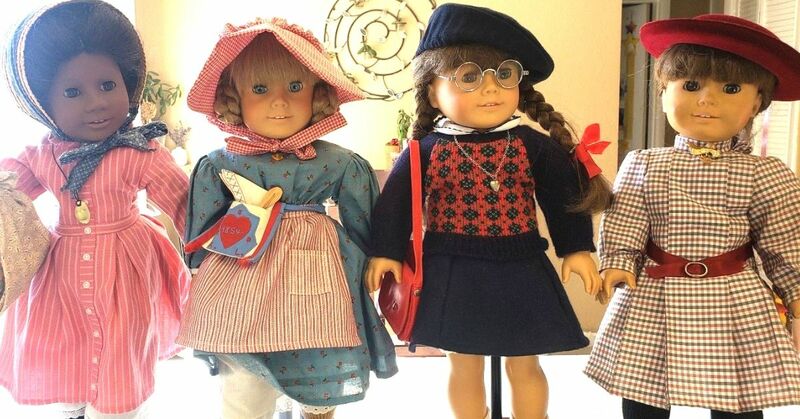 If you kept your giant doll in good condition, you might be in luck. She's actually worth a little bit of money now! 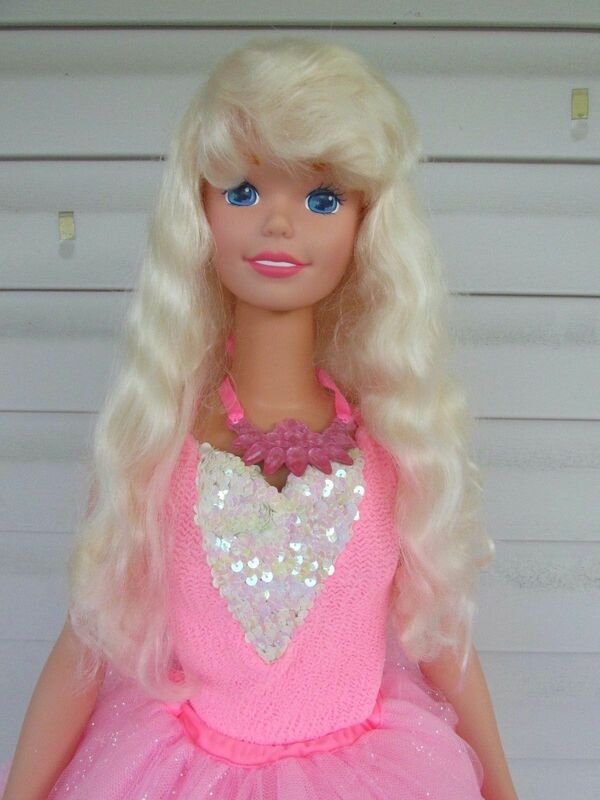 There were a lot of versions of the My Size Barbie, each with their own unique look. If those weren't good enough, they also made sewing patterns for the dolls so you could make custom outfits for her. But now that it has been 25 years since it was released, people wonder if it is worth anything. As many toys have become valuable over the years, it's not completely unreasonable to assume that this incredibly populate choice would be worth something. The truth is, My Size Barbies are actually selling for a lot more than what they were purchased for in the 90s! While they only cost around $30 in the 90s, now they are selling for well over $100! Obviously not enough to retire on or anything, but it's a good chunk of change for something that is just collecting dust in your attic! 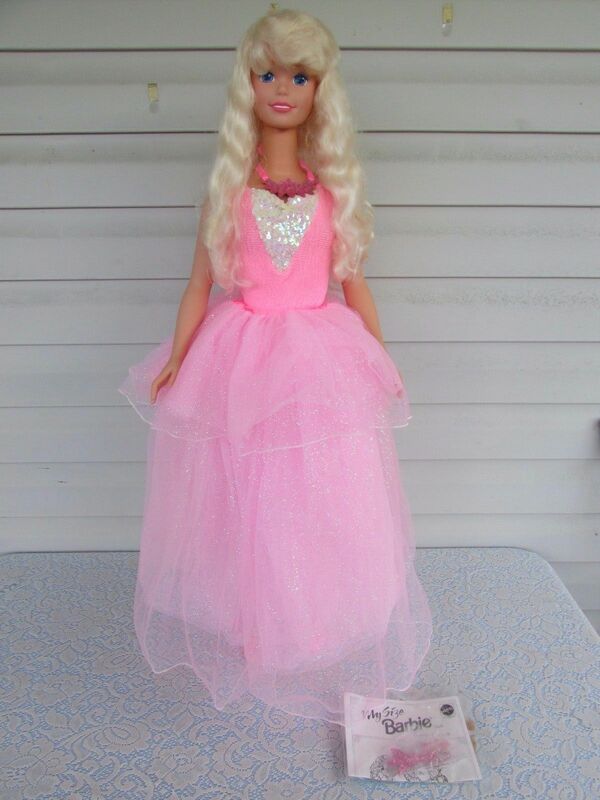 If they are in good condition, a My Size Barbie can even get you up to $225! 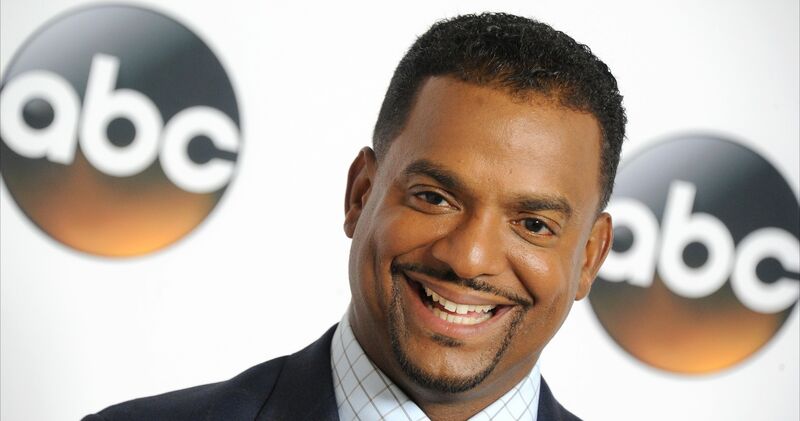 Not bad for your old imaginary friend you forgot about! 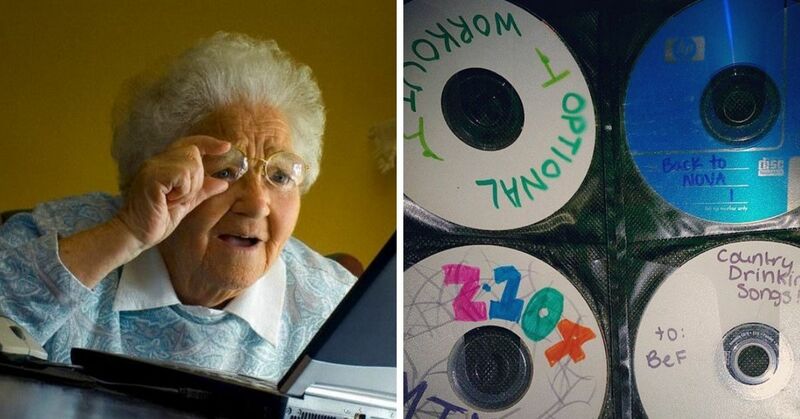 Will you be digging yours out of the attic and listing it online?